Happy 37th Dad & Mum! 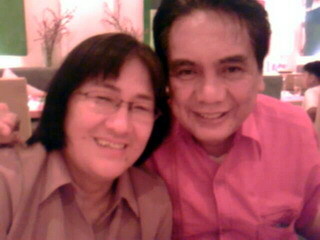 Again, congratulations and happy anniversary to the greatest parents in the world!!! I love and miss you both! Let me be the first! Happy anniversary even I’m late. I met Your parents 2003, when I visited April, to hand her over the telescope. To be married 37 years, having 4 children and becoming Grandparents for the first time is late. But I know, what it means! In 2 weeks I’m married for 36 years. We have 2 children (32, 31) and we are also still far away to become Grandparents, since our children are not even married. So congratulation to their 1. grandson too! Hey Sepp, youre forgetting there’s 5 of us in the family. 😉 Anyway thanks for posting.